Hood River Issei becoming U.S. Citizens. 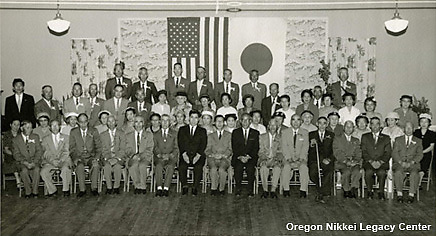 Naturalization Ceremony, June 3, 1960. The McCarran-Walter Immigration and Naturalization Act passed in 1952, allowing Issei to apply for and receive American citizenship after so many years. ONLC 828, Gift of Endow Family.